This Birmingham-based group was previously known as "The Sorcerers" and are significant as being the first band to feature the famous and influential rock drummer Cozy Powell. The top photo (taken in Sutton Park) shows from left to right; Roy Black, Chris Moore, Ken Price, Cozy Powell, and Pete Ball. The band was formed in the mid 1960s with a line-up of singer Ken Aston, organist Pete Ball, bass guitarist Roy Black, guitarist Chris Moore, and drummer Colin Powell. Pete Ball grew up in a musical family and his older brother Dennis (Denny) was already playing in well known Birmingham vocalist Danny King's group The Mayfair Set by the time The Sorcerers were formed. Pete also had another brother Dave who played guitar in a group called The Madding Crowd. Colin "Cozy" Powell was born in the Cotswolds town of Cirencester on December 29, 1947 and started playing drums at an early age. He performed in a local beat group called "The Corals" until he left school at age 16 to "turn professional" and joined The Sorcerers in 1966. Like many British groups at that time, The Sorcerers were soon touring over in Germany where they remained for a few years. The band later accepted an engagement to play at an American Air Force base over in Turkey. While in Germany, The Sorcerers recorded three singles starting in 1966 that were released on various German labels. Their first 45 titled 'Sweet Love' is probably the first ever recording featuring Cozy Powell. One track, 'Baby Lass Uns Tanzen Gehn', was sung in German, while another, 'Love Is A Beautiful Thing', was a cover of a Young Rascals song. These records are extremely rare today and command high prices among collectors. Upon returning to Britain, The Sorcerers name was changed to "The Young Blood". They undertook extensive bookings throughout the Birmingham area which included regular rehearsals at Weoley Castle Square community centre. In early 1968, the group were signed to the Pye Records label and the first Young Blood single - their energetic version of 'Green Light' recorded in the studio with a horn section backing - was released in March of that year. This song was originally recorded by British chart act "The Equals" and was composed by their guitarist Eddy Grant who years later would enjoy much success as a solo artist. The B-side of the Young Blood single was an original psychedelic sounding composition titled 'Don't Leave Me In The Dark' and credited to Dennis Ball (Pete's brother) from The Mayfair Set. "...he was nuts, but huge fun!" 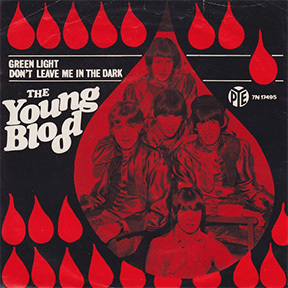 Although Green Light did not become a hit, Pye Records released three more Young Blood singles between 1968 and 1969. These included versions of The Archies 'Bang-Shang-A-Lang' and The Beatles 'The Continuing Story Of Bungalow Bill' from their famous "White Album" double-set. Although the records were chart-friendly and well produced, Cozy Powell became dissatisfied with Young Blood's perceived "bubblegum" image and became restless to find a more suitable outlet for his powerful drumming style. 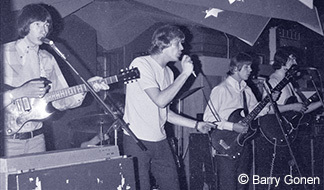 Personnel changes for Young Blood in 1968 resulted in Ken Aston leaving to be replaced by vocalist Ken Price from a local band called Formula 1. Before the end of the year, Cozy Powell had also left Young Blood to join a new band put together by Pete Ball's brother Dennis from The Mayfair Set. This new line-up was to also feature former Move bass guitarist Chris "Ace" Kefford as lead vocalist (see the Ace Kefford Stand). 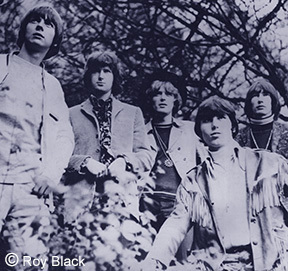 Following Cozy Powell's departure, drummer Mac Poole who was from a Birmingham group called "The Hush" was brought in as a replacement but Young Blood continued for only a short time after this and had disbanded by 1969. Pete Ball re-joined Cozy Powell when he became a member of the Ace Kefford Stand along with his brother Denny Ball. Pete Ball still has many happy memories of the group saying; "Young Blood was fun for years for us, many good memories like two years in Germany and Turkey. Imagine Cozy in Diyabakir, East Turkey for two months - he was nuts, but huge fun!" Ken Price eventually lived his dream and ran a pub in the Canary Isles, but sadly passed away a few years ago. Pete Ball and Chris Moore are today both living in Johannesburg, South Africa where they continue to play and perform. Roy Black moved to Spain where he now lives in the Costa del Sol and is in his own words "still plonking away on the bass". Cozy Powell of course, went on to become one of the word's most famous and influential rock drummers. He played drums for Jeff Beck, Richie Blackmore's Rainbow, Whitesnake, Keith Emerson and Greg Lake (of Emerson, Lake & Palmer), Brummie metal pioneers Black Sabbath, plus loads of other famous names. Cozy also made successful records of his own including a 1974 hit single titled 'Dance With The Devil'. 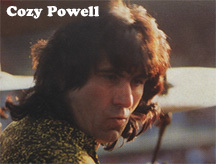 Tragically, while performing and recording as a member of Queen guitarist Brian May's band, Cozy Powell was killed on April 5, 1998 when he lost control of his car on the M4 motorway near Bristol. He was only 50 years old. Thanks to Roy Black, Pete Ball and Barry Gonen for assistance in writing this story of Young Blood.